There are certainly advantages to working overtime, like more money and career advancement. But a new study shows that women who work long hours may be at higher risk of developing diabetes than women who work slightly less. As CNN reported, this research on working women and diabetes was published in the BMJ Open Diabetes Research & Care journal on July 2nd — and the results will certainly make you rethink those long hours. A 2017 Australian study found that working more than 39 hours a week could be bad for everybody’s health. 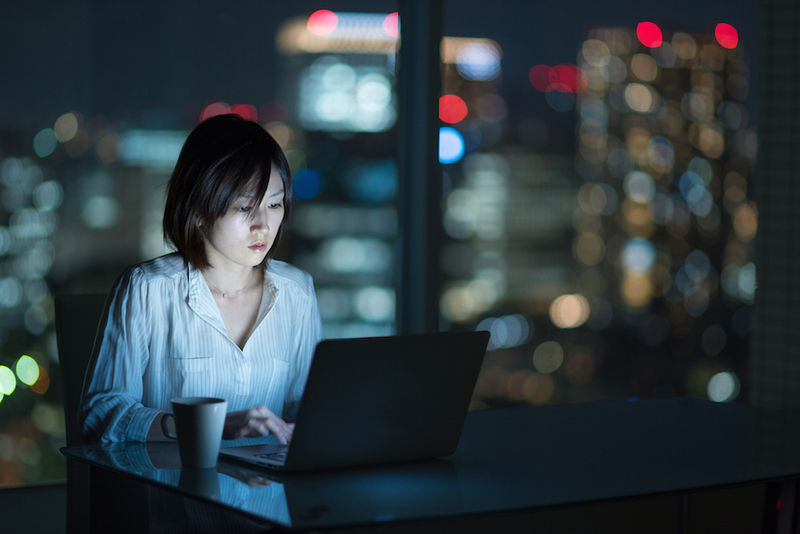 But this new study outlines how women specifically can be harmed by long hours. For 12 years, researchers looked at 7,065 workers (3,502 women and 3,563 men) in Ontario, Canada, who had no previous diabetes diagnosis. While long work hours didn’t increase men’s risk of developing diabetes, that wasn’t the case for female workers. The study found that women who typically work 45 hours or more per week had a 63% greater risk of developing diabetes than women who worked between 35 and 40 hours per week. According to the U.S. National Institute of Diabetes and Digestive and Kidney Diseases (NIDDK), 30.3 million people in the country have diabetes and about one in four people who have diabetes don’t even know they have it. It’s also estimated that as many as 84.1 million Americans over the age of 18 have prediabetes. While this new study was conducted in Canada, the researchers noted that identifying risk factors like long work hours for women could help prevent diabetes. The NIDDK also noted how women with prediabetes and diabetes are at a greater risk of coronary heart disease than men, so it’s important to understand how certain activities can lead to diabetes. "Even when men and women do similar work, women earn less. Of course, that would impact women's health. Think about the stress of working harder and getting less for it." This is far from the first study that has shown that long work hours may disproportionately impact women’s health. As Fortune reported in 2016, an Ohio State University professor found that women who worked an average of 60 hours or more over three decades had three times the risk of diabetes, cancer, heart issues, and arthritis than women who worked 40 hours a week. For men who worked long hours, they only had an increased risk of arthritis. And men who worked 41 to 50 hours a week actually had a lower risk of heart disease, lung disease, and depression than men who worked less.